If you have decided to travel or relocate overseas with your pets, there are specific requirements that need to be met prior to leaving Australia. Dr Sonya Bains is accredited with Animal Health Australia under the APAV (Accreditation Program for Australian Veterinarians) program and is an Australian Government Accredited Veterinarian (AAV) to prepare companion animals for export. Your pet will require health examinations, specific blood tests, vaccinations and documentation (specific to the importing country). Only an accredited veterinarian can do this for you. Please call Dr Sonya on 9659 1088 for further information. Make sure you plan ahead, as you will need plenty of time to prepare your pet for travel. If you are looking for a place to board your beloved cat, we have a dedicated cat boarding facility located on the first floor. 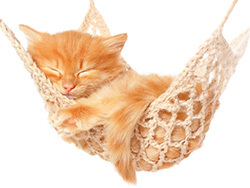 The Cattery is separate from the hospital (ground floor) and is fitted out with custom-built condos. Each condo has 2 levels with a separate room for their litter tray. The cattery has large windows allowing for natural light and ducted air-conditioning to keep the room at a comfortable temperature. With a hospital full of cat lovers, you can be assured your cats will receive plenty of cuddles and social interaction. The welfare of stray or abandoned cats and orphaned kittens is something close to Dr Sonya’s heart. We have a dedicated ward for cats and kittens that need treatment and care before finding them a loving, caring home to go to. Unfortunately there are many undesexed cats in our local community that produce large numbers of unwanted kittens. Many of these kittens end up at the pound and their future is uncertain. Instead we will do our best to find them a new home. 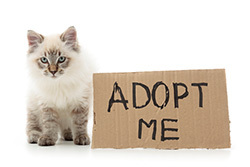 If you are interested in adopting a new Cat or Kitten please contact us on 96591088 for further information. We are open for consultations Monday – Saturday 9.00AM to 6PM. Please call 96591088 to make an appointment. 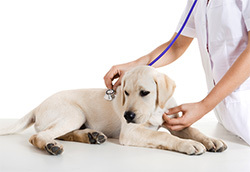 During the consultation, our vet will obtain a thorough history from you and perform a physical examination of your pet to try and determine the cause of your pet’s ill health. Depending on the illness or injury, medications may be prescribed or further diagnostic tests may be recommended. If hospitalization is required for in-house treatments, our hospital is equipped with comfortable cages in a dedicated ward, ducted air-conditioning through out, and will be cared for by experienced, dedicated vets and nursing staff. You are more than welcome to visit your pet while they are in hospital and will receive regular updates on their progress. Does your pet have bad breath? If so, this is abnormal and generally means that there is either tartar build up, infection, gingivitis or maybe a rotten tooth that is causing your pet pain and discomfort. Dental disease is a very common process but also is a preventable one. Yearly dental checks are recommended and usually performed at your pet’s annual health check or vaccination. If dental treatment in required, we are equipped with an advanced dental unit featuring an ultrasonic scaler, polisher, suction unit, drilling hand pieces and extraction tools. Prevention is the best medicine. 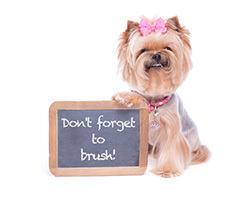 Speak with our vet or trained nurses for advice on oral health care for your pet. Desexing your pet is an important decision to make. Not only are you protecting your pet from life threatening conditions but you are also preventing unwanted litters. 5-6 months of age is generally the right time to desex your dog or cat. It is usually a day procedure and your pet will be provided with adequate pain relief to keep them comfortable when discharged from hospital. In females, desexing can prevent a condition call Pyometra. This can be a fatal condition if not treated as an emergency. Pyometra is an infection of the uterus, which causes a build up of pus. In males, desexing can prevent testicular cancer, prostate hyperplasia, and perianal tumours. Prevent unwanted litters, having to deal with the costs of raising puppies/kittens and unexpected vet fees if an emergency caesarian is required. If your female dog or cat is in-season, we recommend that you wait until at least 4-8 weeks after she has finished her cycle. 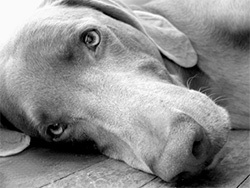 Desexing while they are on heat can be quite dangerous as complications can arise. Please speak with our vet or nurse for advice on when you should book your pet in for the procedure. 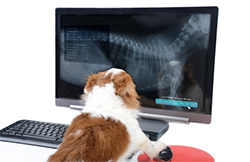 If your pet requires x-rays, we offer the latest in digital radiography. X-rays can be taken quickly and safely in our hospital in order to provide the correct treatment promptly. The digital images can also be emailed to a Specialist Radiologist who will review them and provide their expert opinion. Saying goodbye to your beloved pet is one of the hardest decisions pet owners will have to make. We understand how difficult it is and feel the pain you are going through as we have been in the same situation with our own pets before. Our staff will be with you every step of the way, supporting and guiding you through the process. We will treat your pet with the respect and tenderness they deserve. You may choose to stay with your pet or you may wish to leave them with us. 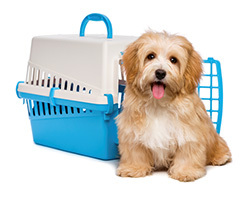 We assure you your pet will be cared for as if it was one of our own no matter which option you decide on. If you wish for your pet to be cremated, we can organize this for you and have the ashes returned in an urn or wooden box. We will discuss all these options with you.People grieve in different ways. Family support is very important during these tough times, however if you need to talk to someone we are here for you too. 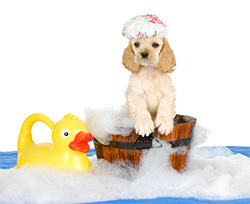 Does your dog need a bath, ear clean or a nail clip call us on 96591088 for a booking. During your pets grooming session our trained nursing staff will be able to pick up on any skin conditions that may have gone unnoticed or just give your pooch some love and pampering. We have a large range of shampoos and conditioners individually selected to ensure your pet gets the best treatment for a healthy, shiny coat. If you have any concerns with your pet’s skin or coat please do not hesitate to talk to one of our nurses or vet for some friendly advice. For other tests, i.e. tissue pathology (tumour identification), microbiology and more specific blood testing, we have an external laboratory service that will collect the samples form our hospital and provide results with in 1-2 days depending on the tests required. Having access to the advanced diagnostic and laboratory facilities ensures your pets receive the very best of care. Having your pet micro-chipped is a legal obligation for all pet owners. Our clinic can provide the implantation of the microchip. The process is very quick, causes minimal discomfort to your pet and is affordable. Far too many strays end up at the Vet clinic or local pound without a microchip. Owners and their pets are unable to be reunited if they do not have a chip. It is also important to have your details updated if you change address or contact numbers. Losing a pet during a storm or if a gate was left open accidently. These things can happen and it is devastating to the family. If your pet is microchipped than you can have piece of mind that you will be reunited. 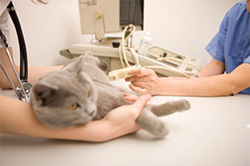 Microchipping can be performed during a routine visit to Hills Animal Hospital. Good quality nutrition is vital to your pet’s overall health.At Hills Animal Hospital we offer high quality premium dog and cat food. The wide range of maintenance diets can also help address issues with sensitivities, control hairballs, help clean teeth, and help maintain healthy joints. 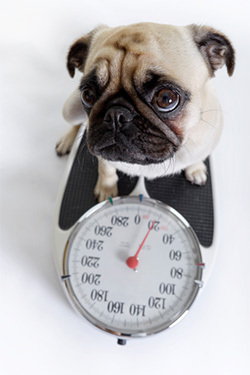 In addition, we have specific veterinary prescription diets of which generally form part of a treatment plan. These include, urinary tract issues, skin allergies, arthritis, obesity, liver and kidney disease, diabetes, pancreatitis and gastrointestinal concerns. 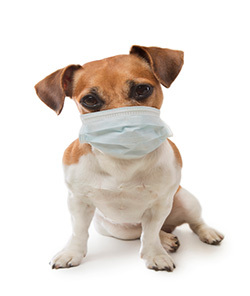 Our friendly, experienced nurses are able to discuss your pet’s diet, and find a suitable product that will meet their specific nutritional requirements. At Hills Animal Hospital we have a visiting Specialist Ultrasonographer, who can perform an ultrasound examination on the heart or abdomen of your pet. 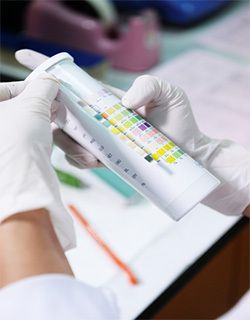 This tool is used to further investigate your pet’s illness as part of a thorough diagnostic work up. Ultrasound, just like it is used in humans, is a non-invasive and painless procedure that is quite commonly used. Our hospital is equipped with new, modern anaesthetic machines and advanced monitoring equipment. We have a surgical theatre where both major and minor procedures take place. Our team of experienced vets and nurses take all precautionary measures to ensure your pet has a safe procedure and a smooth recovery. We perform surgeries ranging from desexing, lump removal, gastrointestinal surgery, bladder stone removal, wound repair, and much more. In addition to our general surgical services we also have a visiting Specialist Surgeon who will perform complex orthopaedic, soft tissue and abdominal surgeries. This service including a specialist consultation is all arranged and performed in our hospital. We recommend all pets having a surgical procedure to have a pre-anaesthetic blood test and intravenous fluids during the surgery. Our staff will go through these options and address any concerns with you prior to surgery. We are here to help you and your pets through these difficult times. 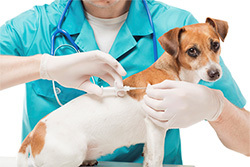 Vaccinations are given at your pets annual health check. We believe that prevention is the best medicine. 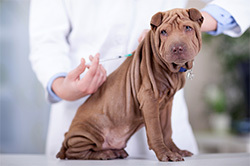 Vaccinating your pet will help protect them from potentially fatal diseases. We can also vaccinate against Feline Leukemia Virus (FeLV) and Feline Immunodeficiency Virus (FIV). Please ask our staff for more information. Rabbits also require an annual vaccination. We vaccinate against Calicivirus (Haemorrhagic Viral Disease). Call us on 9659 1088 to make an appointment.